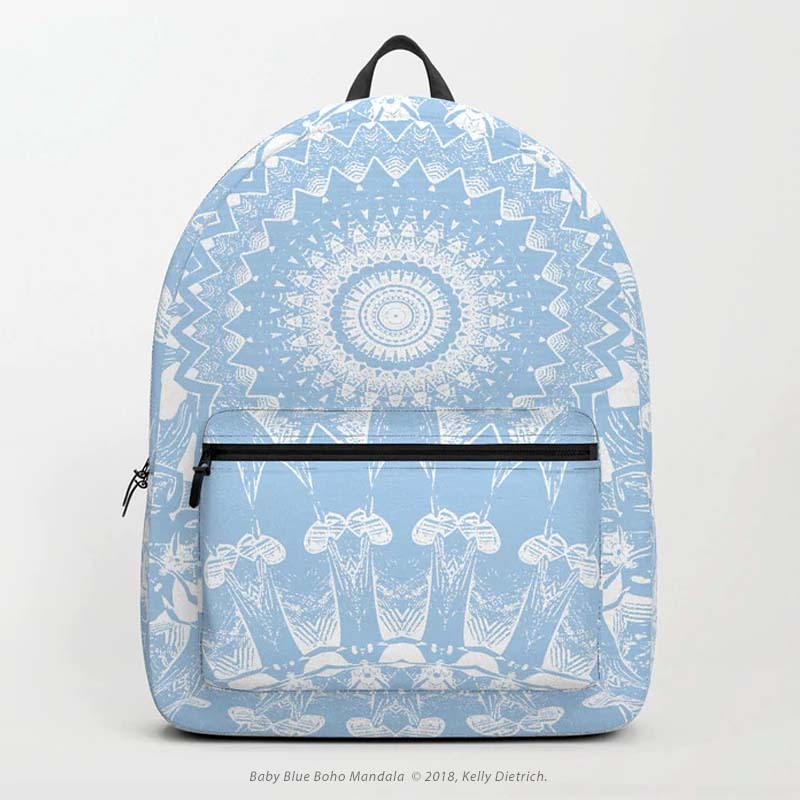 This week's new work is the Baby Blue Boho Mandala. This is a recolor of one of my most popular designs. Created from one of my original fractal images and then tweaked in Photoshop, this mandala is perfect for nearly any space. And, it's available in my Society6, RedBubble, and Curioos shops on a variety of products ranging from art prints and tapestries to bags and apparel. Click on the shop links above to see the product range, or take a peek at the images from my RedBubble shop below to get a quick preview.